Human societies are characterized by sophisticated social relationships and intense collaboration, and their complexity is seen as unique within the animal kingdom. Several facets, however, can also be found in nonhuman primates, the majority of which also lives in differentiated, complex social groups. Thus, the ability to maintain relationships and regulate social behavior at the individual and the group level appears to be a shared and adaptive trait within the primate order. What is still disputed is whether the socio-cognitive processes that play a role in communication and the regulation of social relationships in humans and nonhuman primates differ only in degree, or in kind. To study the understanding of social relationships in this RTG from an interdisciplinary perspective, we bring together developmental, cognitive, personality and social psychologists, behavioral and cognitive biologists as well as linguists, and aim to bridge the gaps between the scientific disciplines. We combine ontogenetic and comparative (phylogenetic) approaches to identify core principles explaining the development, maintenance and function of social relationships. For this purpose, we will conduct 12 research projects assigned to three domains: a) the processing of social signals as key constituents of social relationships, b) social monitoring as the ability to track, evaluate and maintain social relationships, and c) social coordination and how it is effected by social monitoring, e.g., through social learning and the assignment of different roles to individuals in groups. We are specifically interested in the interplay between these different domains. The PhD candidates will conduct complementary studies in nonhuman primates, human infants and adults. 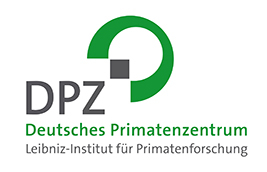 We provide access to various field stations to study nonhuman primates in the wild, work with nonhuman primates at the German Primate Center and test adult human participants and children in established labs at the Georg-August-University Göttingen. In addition, we apply a variety of neurocognitive and endocrinological methods. The research program of the RTG is complemented by an elaborated teaching concept. All PhD candidates will be supervised by interdisciplinary thesis committees, have access to various method courses, a summer school focusing on theoretical and conceptual aspects as well as key qualification workshops. Candidates are expected to present their work at national and international conferences and exchange with other research groups will be supported. The regulatory framework is provided by the PhD Program Behavior and Cognition. Special care is taken to support students with children and to offer career advancement opportunities to facilitate the transition from the PhD into the academic and non-academic job market.